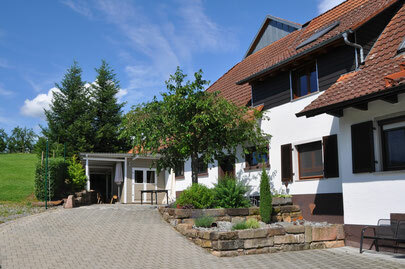 You are cordially invited to visit us at out farm for a good stay and relaxing holidays in our comfortable apartments! Our farm is located outside the city of Zell am Harmersbach with beautiful views of the Harmersbach valley. It is the ideal starting point for walks, hiking and biking. The region offers many excursion destinations and leisure activities. Our vacation rentals are fully equipped, including all electric, linen, towels, a fully equipped kitchen, and Wifi internet. Private parking lots are available at the house for free. Unfortunately, but to show consideration to our guests, pets and smoking are not allowed in our apartments. Please apologize for our language skills, but, in a nutshell, we like to share some essential information. Click for more information about our vacation rentals. We are here in the Black Forest.